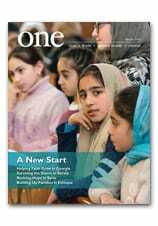 Subscribe to ONE-TO-ONE to get regular updates in your e-mail box. To subscribe, register with us here. Make sure to select the interested in everything option or the ONE-TO-ONE checkbox in the list of interests. If you are already registered, login and edit your account settings to include your subscription to ONE-TO-ONE.